Penguin Cooling & Heating is a premier HVAC repair and installation company serving Charlotte, NC and the surrounding area. If you need a new heater, air duct, or air conditioner, or if your existing units are showing signs of wear and tear, our team of certified HVAC technicians can offer you an affordable solution to keep you living in clean, climate-controlled air all year long. Do You Need HVAC Repair in Mineral Springs, NC? If you need HVAC repair in Mineral Springs, NC and beyond, Penguin Cooling & Heating is always working overtime to bring the latest HVAC repair techniques to your doorstep. Our office is staffed with experienced, EPA certified technicians who are proven HVAC experts. If you want to breathe easier this spring and summer, trust the professionals at Penguin Cooling & Heating. At Penguin Cooling & Heating, our industry veterans are proud to serve Mineral Springs, NC and the surrounding communities. From the beginning, our team has remained committed to stellar customer service and to provide our customers with excellent indoor air quality at a fraction of the cost of our competitors in the Charlotte area. Whether you need a simple maintenance check or a full system overhaul, our fully licensed technicians can help you get the job done right the first time. As a cherry on top, all our services are backed by a 100% Customer Satisfaction Guarantee. 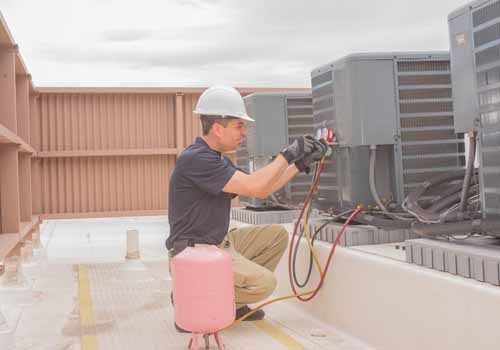 When we carry out HVAC repair jobs, we like to keep it simple by weeding out the root of the problem, clearly explaining it to the customer, and then getting to work immediately. Often, installations are completed from start to finish on the same day. HVAC units are sophisticated pieces of technology, and like any piece of technology, they have a limited lifespan. 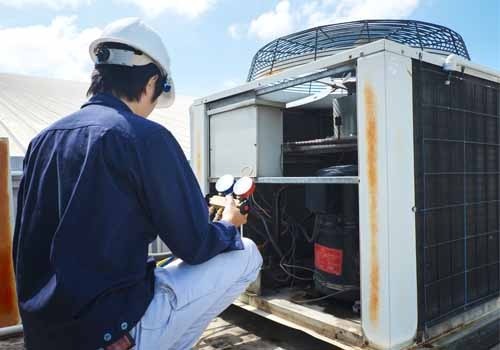 At the end of their life cycle, old AC units can even pose a health hazard to the interior air quality of the house and can rack up a high electric bill. To prevent this from happening, call us and we will inspect your unit to determine whether it is due for an upgrade. When you put your faith in our HVAC team, it pays dividends because we take the time to walk you through every step of the replacement process. After installation, our technicians do full system tests to make sure your new unit it is working at optimal efficiency. Putting your trust in Penguin Cooling & Heating means never having to sacrifice performance for cost. 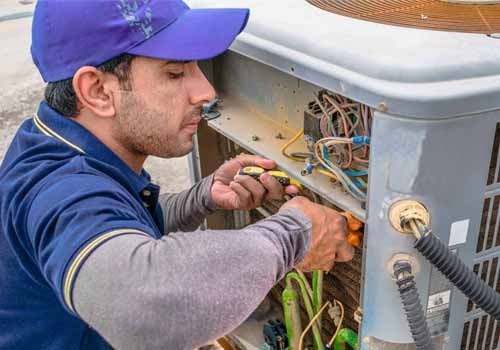 We now provide a wide range of HVAC repair, installation, and maintenance services in the Mineral Springs, NC area at rates so low our competitors can’t keep up. No matter the time of day, our team of licensed technicians is ready to arrive at your doorstep and get to work. If you live in the Mineral Springs area, our vision is to become your one-stop source for HVAC repair, installation, diagnosis, adjustment, and full-scale replacement. Open 365 days a year for your convenience, contact our Mineral Springs office today for a free quote.